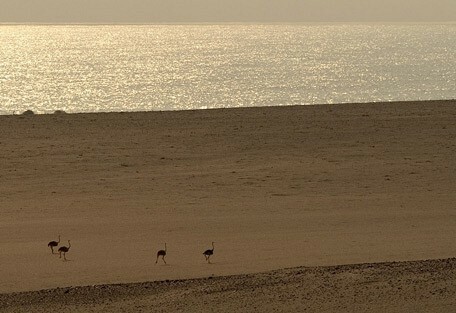 The Skeleton Coast Park is remote and unique and is one of the least visited places on the planet. It is wild, untouched and obscured by mist. This is the ideal destination for guests wanting an active and adventure-filled safari experience. The Skeleton Coast Park, approximately 2 million hectare (20 000 sq km) in size is one of the most remote and least visited places on earth and extends from the Kunene River on the northern Namibian border to the Ugab River near Cape Cross in the south. The area is located where the Namib Desert meets the Atlantic Ocean on the northwest coast of Namibia and is named after the bleached whalebones and scattered remains of shipwrecks that washed up on its shores. The Skeleton Coast Park is wild and barren, once an area feared due to its treacherous coastline is now a place of beauty and tranquility. This coastline park, obscured by mist, dates back to 1963 when used mainly for political reasons; few people are able to visit this protected area, and its mystery remains mostly intact. Since the inception of the park in 1971 it has been managed by the conservation authorities as a wilderness area where development has been kept to a minimum and to which the public has limited access. The Skeleton Coast Park is a photographer's haven, unpredictable and dramatic and ideal for visitors seeking a true adventure. The Skeleton Coast is is associated with famous shipwrecks, and stories of sailors walking for hundreds of kilometres through this barren Namibian landscape. It got its name from the eerie vision of these washed up shipwrecks along its beaches. The Bushmen called it The Land God Made in Anger and the Portuguese knew it as The Gates of Hell. 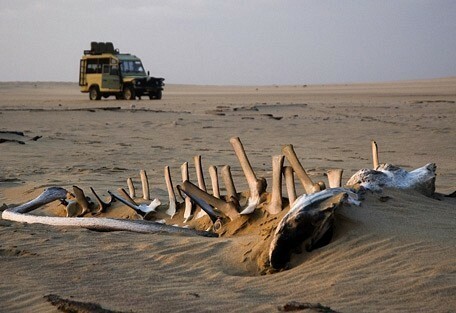 Way back into history, the Skeleton Coast has evoked some mysterious stories and theories out of visitors and seamen. Despite its arid and deadly appearance, the Skeleton Coast has a greater variety of species than many other parks in Southern Africa. The thousands of Cape fur seals that are found in this area become prey to the desert lions that are often spotted roaming the misty coast, when they have wandered away from Damaraland in search of food. Serra Cafema is a luxurious camp situated in the enormous Hartmann Valley, overlooking the Kunene River. The area offers unique landscapes and magnificent views of the Namib Desert. Private and exclusive and perhaps one of the most remote places on the continent. A unique and intimate safari camp in Namibia’s northwestern Kaokoland where water is scarce and desert beauty is abundant. Families are welcome to this remote corner to track desert-adapted lion, rhino, elephant, and giraffe. Shipwreck Lodge can not be compared to anywhere else in Africa. Located in Namibia’s mysterious Skeleton Coast National Park, inventively built to emulate the shipwrecks that litter this coastline, and promising a remote and surreal experience in the oldest desert in the world. 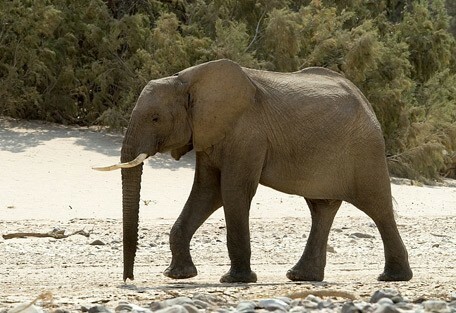 Okahirongo Elephant Lodge is remote and luxurious; the ideal lodge for guests seeking a quiet and peaceful hide-away. Small and personal, it caters for only 18 guests. 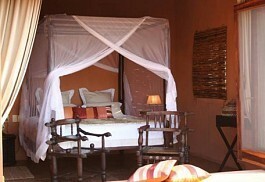 The suites at Okahirongo Elephant Lodge are romantic and beautifully decorated. Hoanib Skeleton Coast Camp is an award-winning camp located in a private concession offering 16 400km² of remote and untouched wilderness within the Skeleton Coast Park. Skeleton Coast Camp is ideal for fit and adventurous guests enjoying a variety of activities. 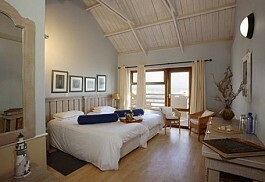 Cape Cross Lodge is situated only meters from the fertile Atlantic Ocean and offers visitors a unique location. 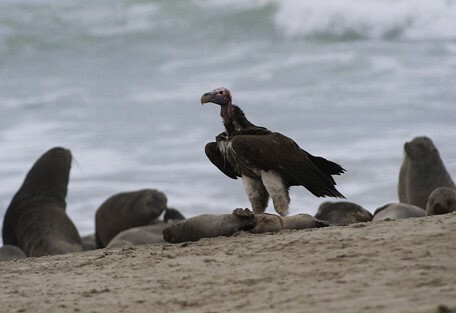 This harsh and vast untamed wilderness on the Skeleton Coast offers a once in a lifetime experience. 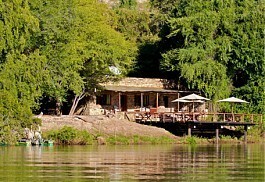 Kunene River Lodge offers a hive of activities. Situated on the banks of the Kunene River, the emphasis is on water activities, however also offers fantastic birding as well as the opportunity to experience a traditional Himba Village. The Skeleton Coast offers a cultural experience, giving visitors the opportunity to explore the area and discover the smaller desert wonders. Freshwater springs flood through the barren sands to create rare oases in the desert that sustain pockets of wildlife. The early morning mist off the Atlantic Ocean sustains a surprising amount of life, from larger mammals to the extraordinary Welwitschia plant. 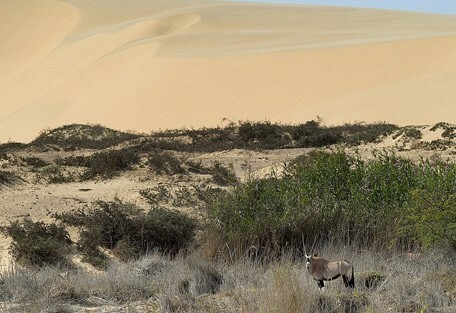 Springbok, gemsbok (oryx), the rare desert-adapted elephant, brown hyena, black-backed jackal, and sometimes even lion and cheetah enter this harsh and barren region. 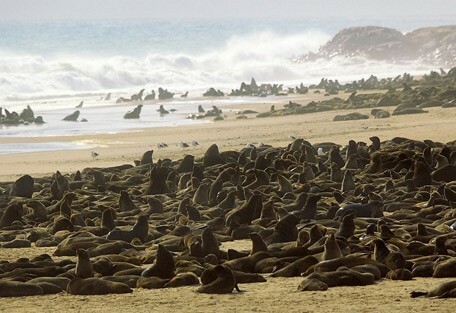 The famous Cape fur seals are present in their thousands on the beaches, attracting predators as well. Birding in the area is good with over 200 species recorded including several of Namibia's desert endemic species such as Tractrac chat, Rüppell's korhaan and Gray's lark. One of the most spectacular animals of this area are the desert-adapted lions. This is the only place on earth where guests stand to witness lions living on a coastline. These lions have an astounding traversing area and cover vast distances, quite unlike any other populations. For much of the year, but especially in winter, the coast is shrouded in mist with a strong westerly breeze taking the fog far inland. This moisture gives life to strange desert plants such as the unique living fossil Welwitschia, which survives for hundreds of years. The mist clears by mid morning and the timeless beauty of the Skeleton Coast becomes apparent. Due to the fog-belt which is often present, the temperatures at the coast vary considerably from 6-36°C, but never drops below freezing point. Even in summer, cool rather that hot temperatures are to be expected, so appropriate clothing is necessary. In the interior, although warm in the mornings, it cools off as the day progresses. A general lack of moisture, crystal clear night skies and rapid heat loss, gives rise to chilly nights. 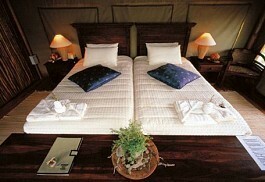 Serra Cafema is a luxurious camp situated in the enormous Hartmann Valley, overlooking the Kunene River. The area offers unique landscapes and magnificent views of the Namib Desert. Skeleton Coast Camp is an award-winning camp located in a private concession offering 16 400 sq km of remote and untouched wilderness within the Skeleton Coast Park. Skeleton Coast Camp is ideal for fit and adventurous guests enjoying a variety of activities. Kunene River Lodge is situated on the banks of the Kunene RiverA variety of accommodation choices are available and the lodge offers a true river experience in a unique area. It has one of the most well regarded and experienced Adventure Activity Centers in Namibia. The Skeleton Coast runs all the way from the Ugab River near Cape Cross in the south, up the Namibian west coast, until it reaches the Kunene River in the north. 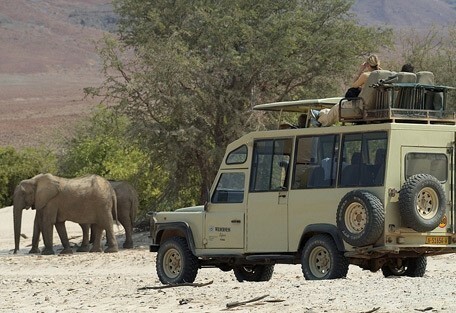 Guests visiting Namibia on a self-drive holiday can (and should!) incorporate the Skeleton Coast. The drive from Windhoek will take the better part of a day and it is recommended that one use a 4WD, as there are some mountain passes that require a bit of manouvering. 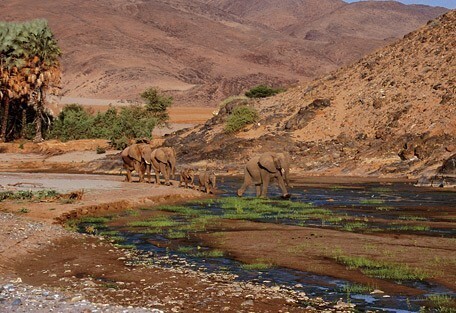 Alternatively, Sun Safaris can book guests in at one of the beautifully located lodges in the Skeleton Coast area. It would be very beneficial for visitors to tour the area with one of the experienced guides, and the quick travel by flight will suit our guests' tailor-made itineraries. 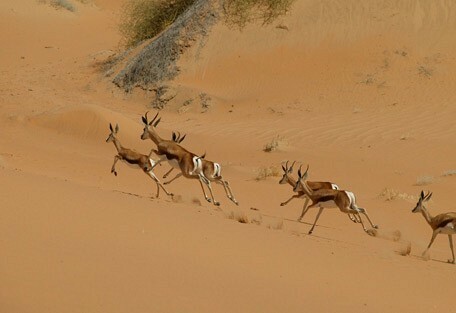 Sun Safaris will book guests on flights to Windhoek (Namibia's capital city and safari gateway), from where they will connect with scheduled flights to a particular destination on the Skeleton Coast. Guests will be collected from the local airstrip by their hosts and driven to their booked accommodation.